What’s the best way to keep in touch with your Chinese audience on a periodical basis? An email newsletter? My answer is NO. 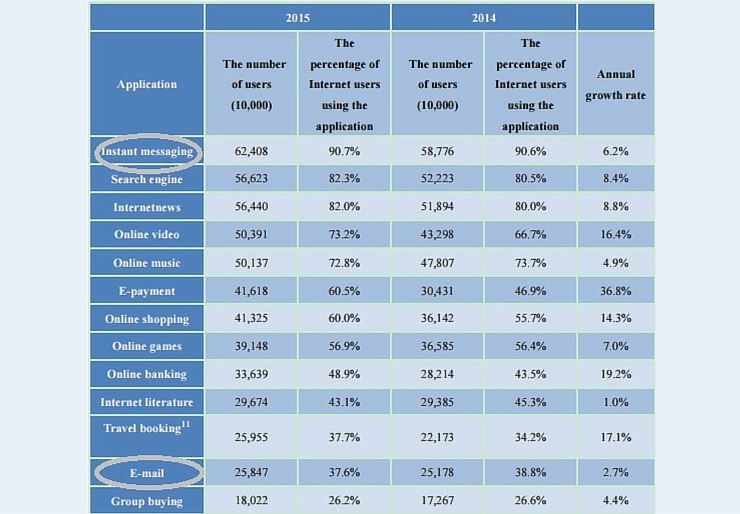 As you will read below, official Chinese statistics paint a very bleak future for email in China. In this article I will show you proof on why an email newsletter is never going to work for you in China and on how you should use WeChat as an alternative to build up a steady base of followers for your brand. Although email addresses do exist and are still used – especially in the corporate environment, China has never been fond of emails as a mean of communication. The statistics below from CNNIC indicates that on desktops the email penetration rate is only 37.6% for the Chinese online population. On mobile devices, the email penetration rate reaches only a paltry rate of 26.9%. 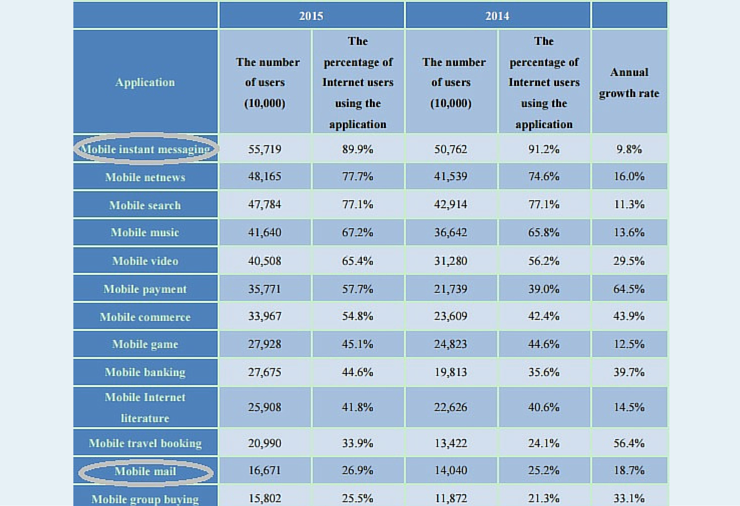 Usage rate of mobile internet applications by Chinese internet users 2014-2015; On mobile devices, it drops to 26.9%. How About Open Rates and Click-through Rates? A Webpower China report from 2014 shows that in the first semester of the year the click to open and click-through rate was of only 6.8% and 1.01% respectively. 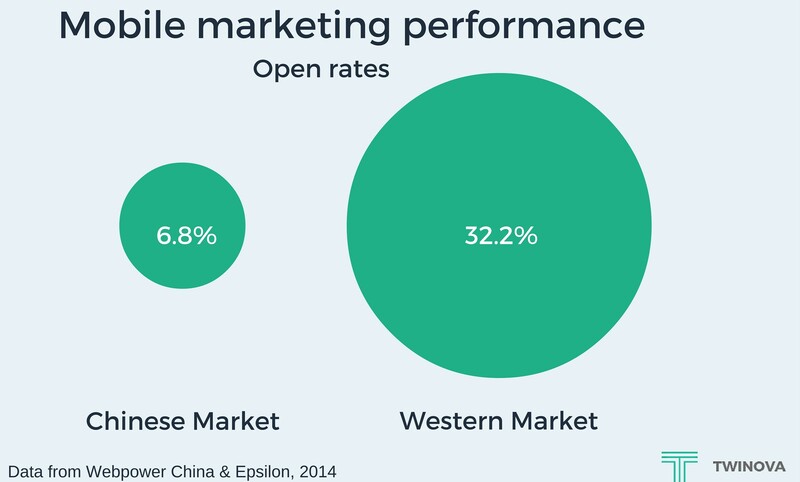 An Epsilon report for 2014 Q4 on the Western markets shows that the open rate was of 32.2%. The short comparison above has an unequivocal conclusion, email is not the best way to communicate with your Chinese audiences. The good news is that all hope is not dead. You can still build a newsletter for the Chinese market! If you look at the images above, you will see that Instant Messaging and Mobile Instant Messaging are topping both charts, with a penetration rate of 90.7% and 89.9% respectively. The two major instant messaging platforms that dominate both desktop and mobile are QQ and WeChat, which are products of the the same Chinese internet company, Tencent. QQ has 800 million registered users, while WeChat has 650 million monthly active users. We can fairly assume that the majority of your audience are on these platforms. Incidentally, WeChat has an important feature which allows businesses to interact with their brand followers, namely the WeChat Official Account. My suggestion is for you to focus all your efforts in building your newsletter on WeChat, regardless if you are a B2C or B2B company. What is WeChat? Why Choose WeChat? Every time you read an article about the online environment in China there is an endlessly repeated word: WeChat. With 650 million monthly active users, WeChat’s impressive user base allows you to have the opportunity to interact with them on a personal basis. WeChat entered the market in 2012 as a mobile instant messaging app. Over the years it has transformed into a super-app that encompasses everything. It caters to any offline or online scenario one could encounter in daily life. The chart below shows some data from the app engagement perspective. With rates as high as this, it would be hard for them not to notice your newsletter updates when you broadcast them. How Important is WeChat for Companies in China? As you can see, there are a myriad of ways to use WeChat for your business, the above-mentioned being just the tip of the iceberg. However, in this article I will focus on how to use it as your newsletter distribution platform. 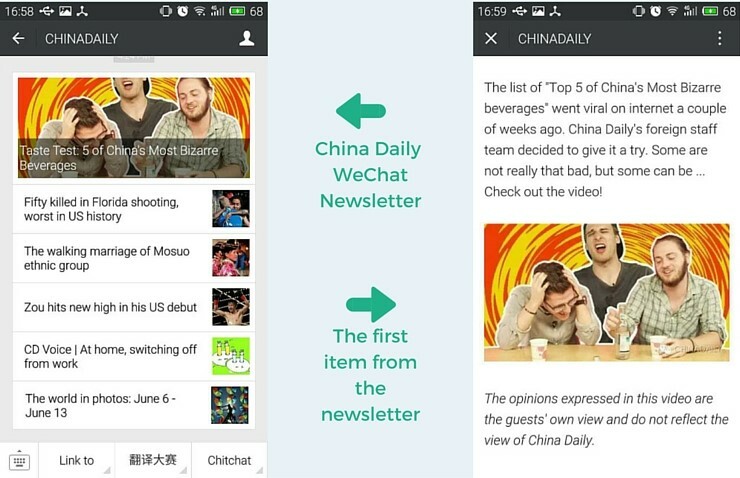 WeChat should become your daily/weekly newsletter, which can compliment your traditional newsletter — if you decide to keep it. You get the chance to interact with your followers and send them real-time relevant information. 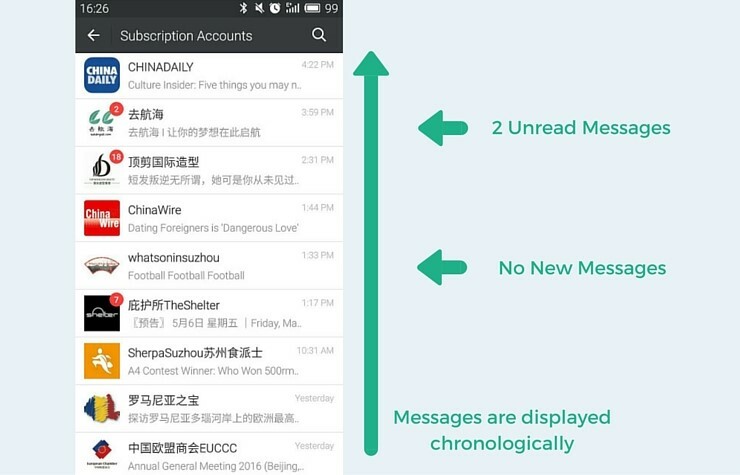 Sending newsletter updates through WeChat to Chinese users, who prefer their smartphones over their desktops, if they still have any, makes perfect sense. Statistically speaking, only 39.2% of new Chinese netizens use desktops or laptops, which shows a huge shift to mobile. Creating a WeChat newsletter from scratch is actually very easy. Register – You create an official WeChat account (Subscription or Service Account). Generate QR – You generate a QR Code for the account. Print QR – You print the QR Code on your website, business cards, offline marketing materials and packaging. Promote QR – You invite customers, partners and employees to follow the account. Send Newsletter – You keep them informed with relevant facts – promotions, new products, news about the company – new divisions, new teams, awards. There are two types of official accounts available, namely the Service Account and the Subscription Account. 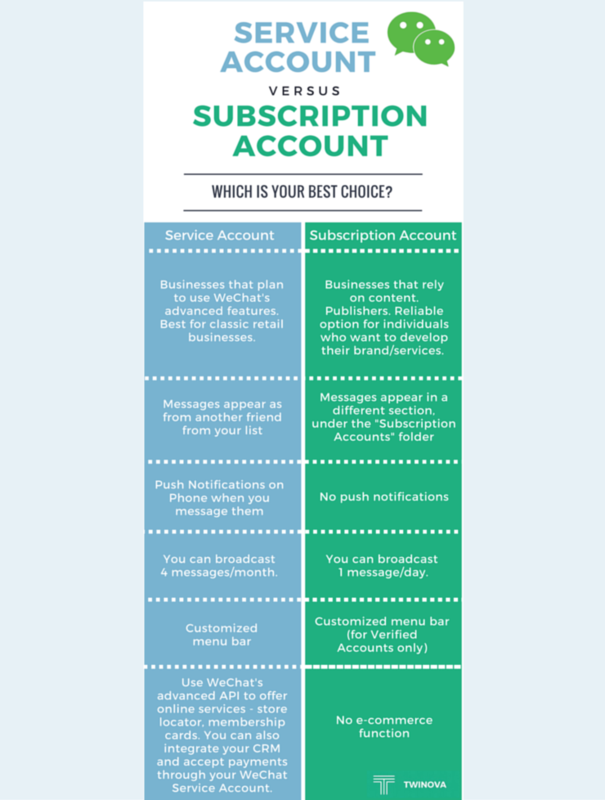 Here is a short comparison for the two types of accounts available on the platform. Depending on the type of WeChat account you choose for your company, your newsletter posts will reach the subscriber in a different way. 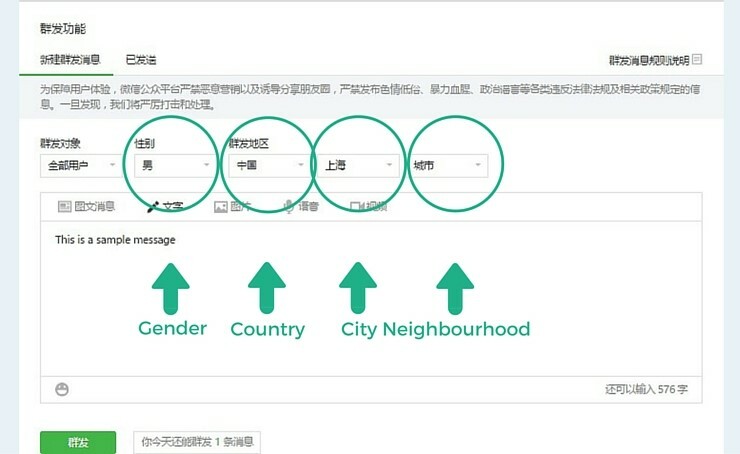 I will use the WeChat inbox screenshot below as a guide to better understand how users see the messages they receive. 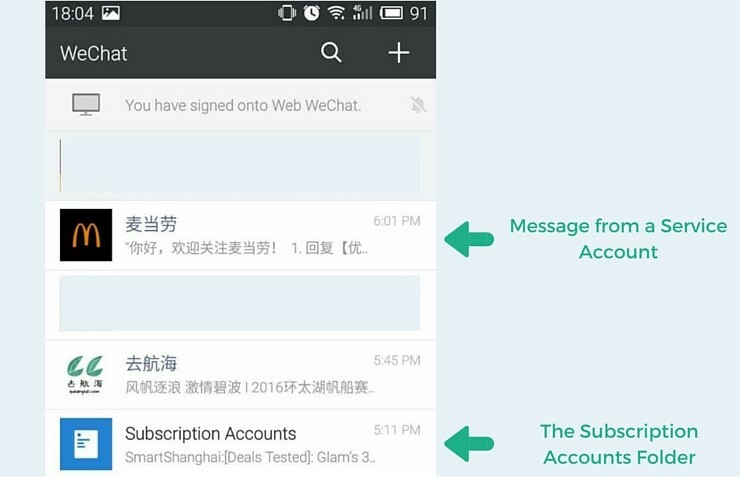 Messages from a Service Account are shown as those coming directly from one of your WeChat contacts. They appear in the main inbox and the user receives a notification on the phone. This is the most direct method to reach your follower. Messages from a Subscription Account will be shown in the Subscription Accounts Folder and the recipient has to first access the folder in order to read them. A notification will be shown next to the folder. The Subscription Account folder is organized chronologically and the user can see how many messages are unread. 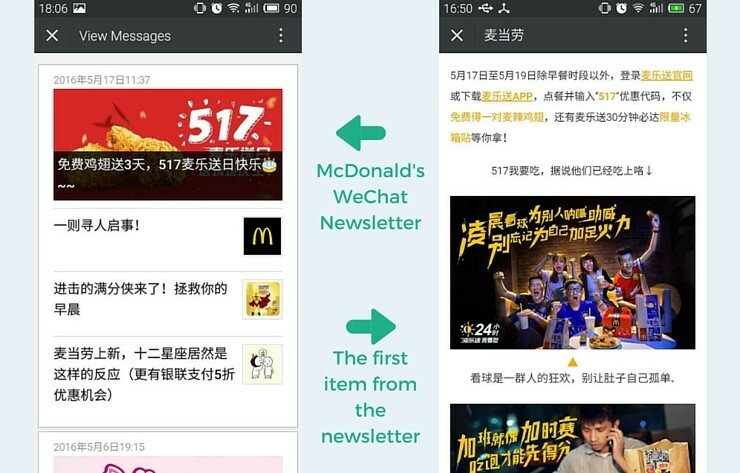 McDonald’s China is one of the first official WeChat accounts to implement WeChat payments and is considered to be an innovator when it comes to B2C WeChat marketing. The service account allows the company to post direct message updates 4 times per month to its followers. In the screenshot below we analyze a newsletter post from Mcdonald’s, featuring their latest promotional news. China Daily is the perfect example to showcase a Subscription Account. 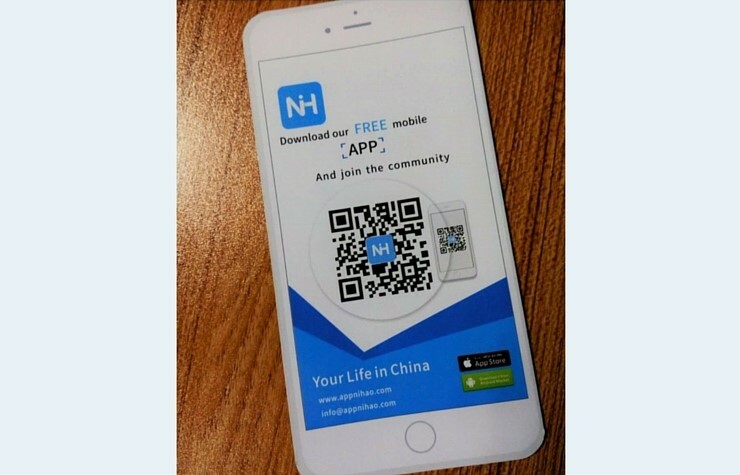 The newspaper offers a WeChat newsletter version everyday, which includes national and international topics. This type of account is designed for those who send daily information, so publishers are a good target. With a subscription account, you can send 1 message per day. The timing of your newsletter is also very important. In the case of China Daily, it is delivered around 5 pm, the time when most Chinese employees leave work. The commute – which in China is rarely a short process – is the perfect opportunity to spend time on your phone. While mornings and afternoons are good intervals to send your newsletter, in 2015 WeChat users were most active at 10 pm. 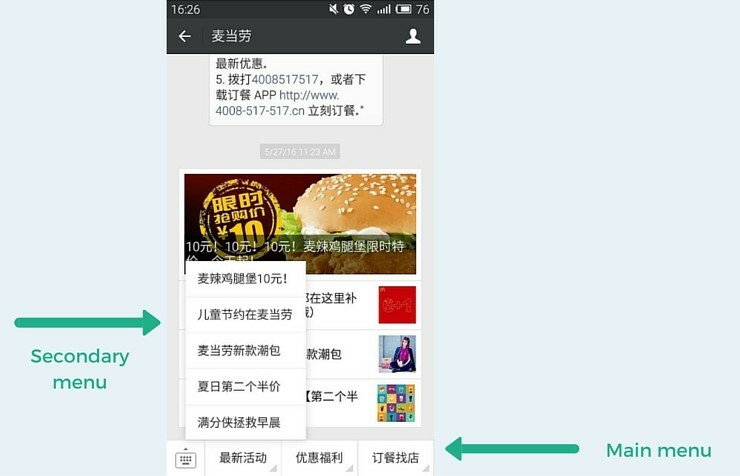 A customized menu can transform your WeChat account into a mini-website, easily accessible using a smartphone. As I will explain below, customizing the menu from the WeChat platform is extremely easy. You can use a two-level menu to promote your website using a direct link, send a direct message or offer contact information for your customer support service. After deciding on the type of official account you want to use for your WeChat newsletter, you can start applying for one. The application process is linked to your company’s status. 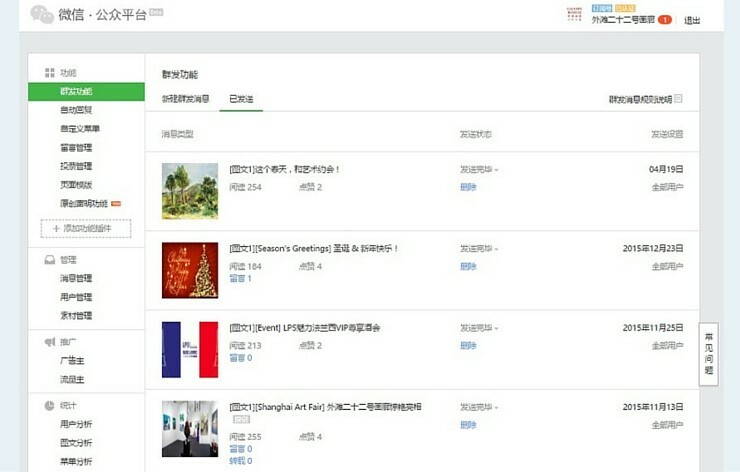 Local Chinese Entity – If you have a local Chinese corporation registered in mailand China, you can register your official WeChat Official account on the official website. Note: The issue with official accounts registered here is that Chinese WeChat users don not have access to official account, only WeChat users outside China can see it. Find a local Chinese partner to help you registere a Chinese WeChat official account. When it comes to content, you can choose either a classic newsletter (with photo and text), plain text, image, voice or video one. You have instant access to the messages you sent. Analyzing the data – how many opened your newsletter posts or clicked on the links in the articles, can help you better understand your followers’ behavior. Your future marketing and sales strategies can benefit from these statistics. You can opt to know more about your followers. You can message them directly, organize them in custom groups and manage them accordingly. As I mentioned before, you can customize the Menu Bar from the back end. 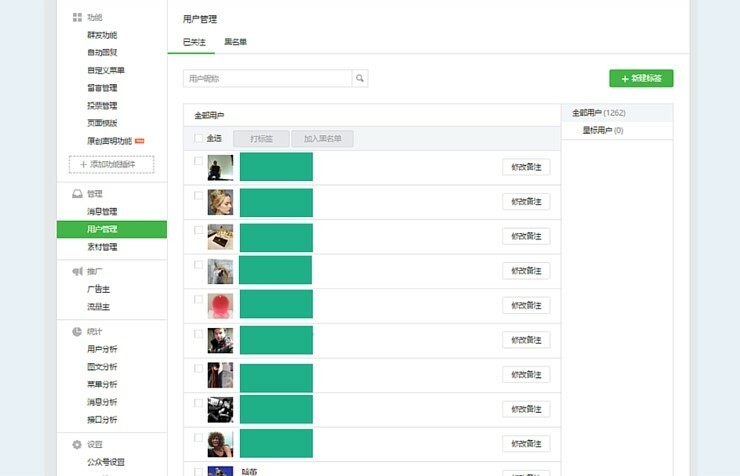 You can add external links and you can name the buttons in Chinese or/and another language. Using the back end you can obtain your QR code, which you will use to promote the official account. Promoting your account is as important as updating it. Just like your email newsletter, once you set it up you want to start amassing as many subscribers as you can. 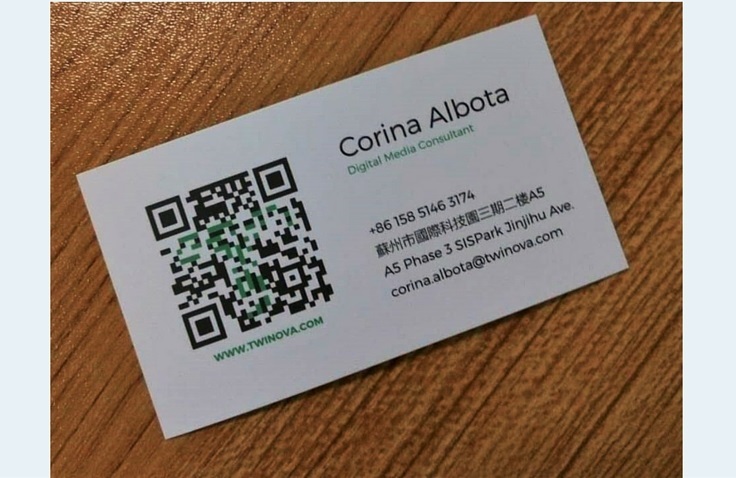 Basically, you shall use all the opportunities to feature your WeChat Official Account QR Code on any online or offline marketing materials. Let’s take a look at some examples below! To promote your email newsletter, you would add a text box on your website and invite visitors to enter their email addresses. 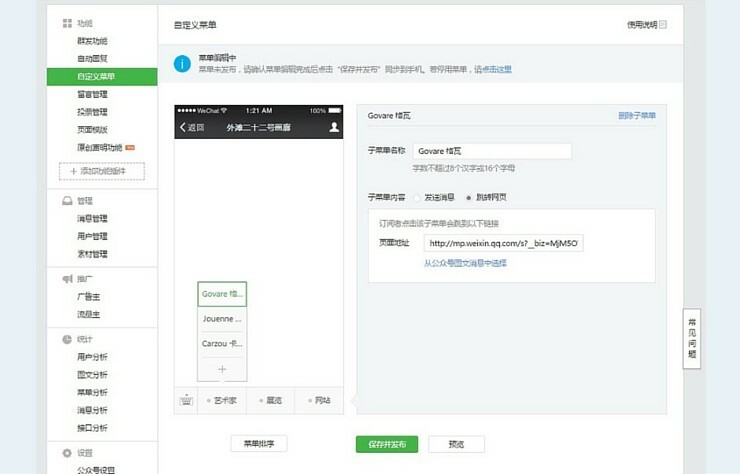 For WeChat, you will post your QR Code on your website so users can scan it with their phone. Yin Capital, one of our customers, have added the QR code in the footer of the website. 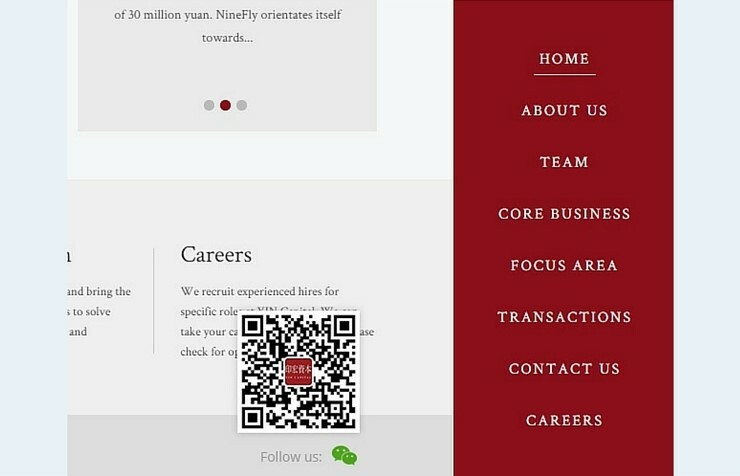 Yin Capital has the QR code on their website. A mouse-over will reveal the code which you can scan and follow the official account. Below there is a screenshot of our business card for example. Instant messaging is gaining ground globally. In China, it is already the most important means of communication. Adapting to the habits of your users/clients/partners is essential. As you can also see, WeChat is not just restricted to a newsletter platform. In the future, should you choose to have a more active brand presence on WeChat, the Official Account platform allows you to transform your account into anything that could better serve your customers. It will be wise to start cultivating and building up your loyal fanbase from now onwards.